The eleventh meeting of the Fund for European Aid to the Most Deprived (FEAD) Network took place in Brussels on 19 June. Representatives of national managing authorities and civil society organisations met with actors from the European Commission to discuss the value of building partnerships in delivering FEAD support. More than 100 experts spent the day exchanging experiences and ideas that have proven successful so far, as well as sharing insight into some of challenges that they have encountered in programme implementation. For many years, building partnerships has been one of the key principles in the implementation of EU structural funds. Often, working together is vital for achieving project objectives and providing social services. The issues that projects financed under the European Social Fund (ESF) address for instance, are highly complex matters. Therefore, EU Regulations for the ESF and FEAD programmes promote partnerships between state authorities and implementing partner organisations. These collaborations aim to deliver services and support for people in need in a comprehensive way, for example by creating better access to health services or education. During the meeting, participants revealed how partnering with other organisations and institutions increases the knowledge, expertise and viewpoints that can be applied to designing and implementing different strategies. It also ensures greater transparency in decision-making processes. One example of an effective partnership is the cooperation between the Bulgarian Red Cross and the Bulgarian Agency for Social Assistance in implementing FEAD. Their programme combines food distribution with counseling and information dissemination to those in need. Alongside the delivery of food parcels, the national programme offers a variety of accompanying measures to support end recipients in their transition out of poverty and social exclusion. Programme partners believe that while responding to recipients’ basic needs is important, it is also crucial to encourage people to actively take steps towards reconnecting with society. 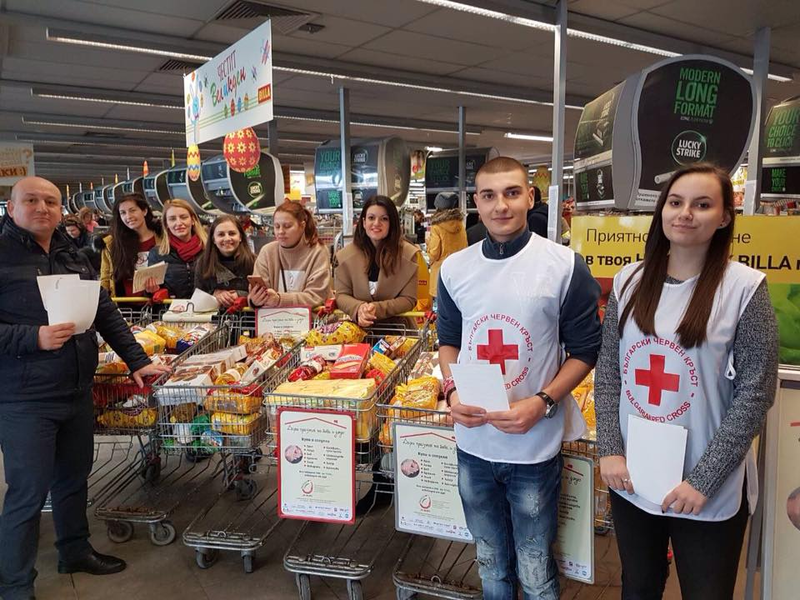 The Agency for Social Assistance in Bulgaria purchases food products and the Bulgarian Red Cross distributes individual food parcels to eligible recipients (approximately 300,000 parcels per year). In addition to the food, local Red Cross branches provide guidance on access to social protection, welfare, and public social services. Meeting participants agreed that working together is essential in the delivery of FEAD-supported actions. Mayi Mukuna of the Belgian Red Cross believes that exchanging experience in the area is vital: “The FEAD Network meeting was the occasion to get inspired by great EU projects and to meet interesting people with the same purpose: helping the most deprived in their country”. “Our FEAD partnership provides broader access to knowledge, expertise, and resources”, said Evelina Milusheva, Head of Social Activity and Services at the Bulgarian Red Cross. 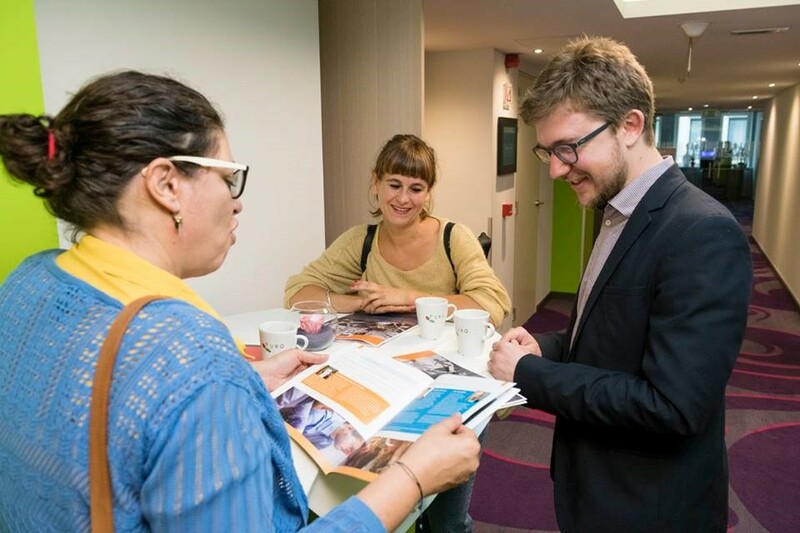 She also underlined the importance of the FEAD Network meetings in establishing connections with representatives from other countries and gaining more information on the changing nature of future EU programmes in the social sector. Click here to find out more about FEAD.